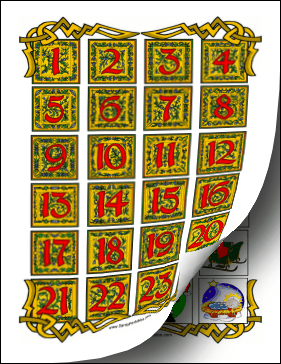 Use this free, printable advent calendar to count down the days until Christmas Eve, starting with December 1st. Cut out the flaps on the numbered squares and then tape or glue the numbered page over the pictures. Lift up or tear off one flap a day until Christmas.